Register and pay below for the July 15-19, 2019 Rolling Surveillance training in San Luis Obispo, CA (Central Coast). Payment may be made via Credit/PayPal or contact us for other payment methods. Thank you. 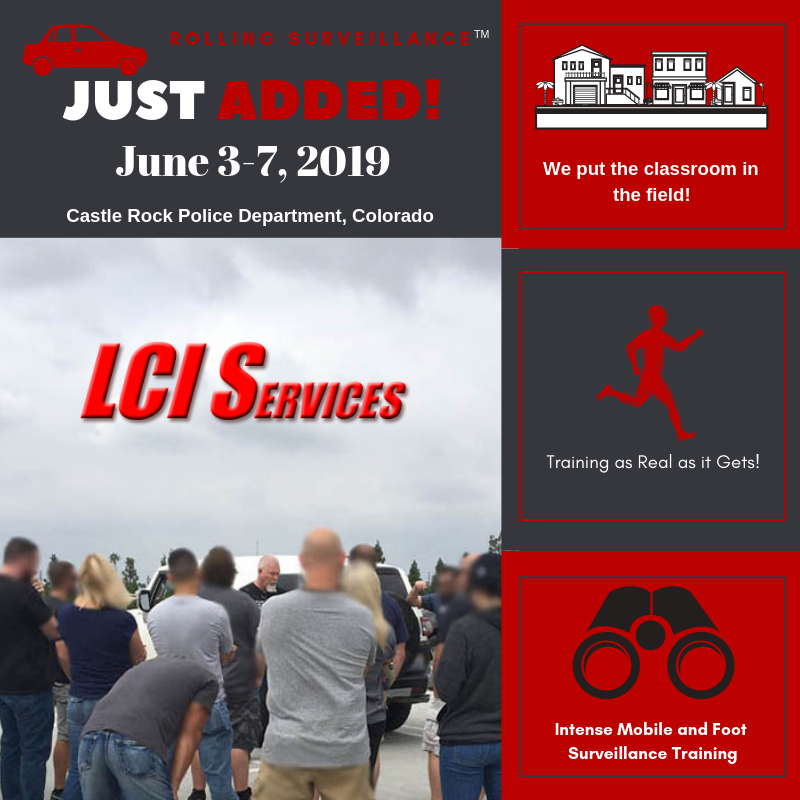 Rolling Surveillance Training Course for Law Enforcement in San Luis Obispo, CA (Central Coast) from July 15-19, 2019. $555.00 Early Bird Payment when payment received PRIOR to July 5th, 2019. $585.00 thereafter.